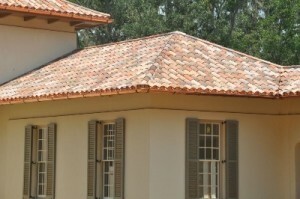 CONSIDERING A CLAY TILE ROOF FOR YOUR HOME? LOOK NO FURTHER THAN PREMIER ROOFING, INC. 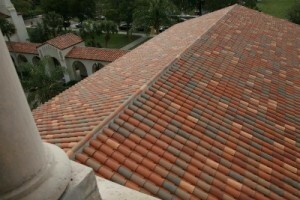 THE BEST TILE ROOFING COMPANY IN ORLANDO! Longevity – These roofs can last 50 years and sometimes even longer! Appeal – These roofs are stylish. They have a beauty no other roofing option can match. Insulation – The clay keeps temperatures moderated, the insulation clay provides keeps your house warmer in the winter and cooler in the summer. Durability – These roofs are insect-proof, fire-proof, and resistant to the types rot, mold, and water damage that can be the end of other common roof materials. This is why clay roofs have and will continue to be a popular and wise option. Once you’ve decided on clay tile roofing for your home, go with the pros! Choose Premier Roofing, Inc. for your roofing needs in Orlando! Deciding on the material for your new roof is only half the task. The other half is to pick a contractor. Don’t get overwhelmed and pick the first contractor you come across. Proper installation is just as important as proper materials, and some contractors are better than others. So, be confident in your decision and trust the job to Premier Roofing, Inc.
Roofers who specialize in clay tile roofs. Roofers trained at accredited institutions. Experienced contractors who get the job done right. Choose Premier Roofing, Inc. and feel confident in the quality! Here at Premier Roofing, Inc. we believe in doing it right. Don’t get caught with a bad contractor. Contact Premier Roofing, Inc. today for the quality service you deserve.